Bicycle Gourmet’s Non Chocolate Easter Eggs. They’re tasty! They’re colorful! but…they’re not chocolate. However, on the plus side, unlike the chocolate variety, DA BG’s Non Chocolate Easter Eggs are Permanent. They will live as long as you do. Maybe longer. Another huge bennie is the fact that unlike the chocolate kind, which only bring enjoyment one time, the Non Chocolate Eggs of The Bicycle Gourmet Easter Variety will bring you oddles of joy,contentment(and possibly inspiration) every day. Now, don’t get the idea I’m dissin’ the chocolate variety. No Sir and Ma’m! I will be chowin’ down on them as well. (Gotta love those chocolate bunnies!) 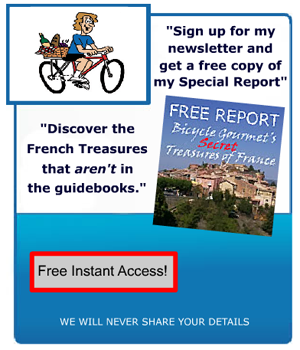 But, I always like to offer you experiences that are, well…”off the beaten track.” (As you’re probably aware) And what could be MORE off the trail of regular hum-drum predictable than Non Chocolate Easter Eggs From the Bicycle Gourmet? Just one thing to keep in mind. They’re not edible. Ok, you could chow down on them if you’re either very hungry, a little weird, or both. But they wouldn’t be “tasty” in that sense. you really know how to arouse curiosity mr bg! this was one great idea! checked out your link….very impressive! absolutely gobsmacked by these images. had no idea you were such a talented photographer! dave said it all…….truly amazing images….a great example of why anyone interested in photography should be on a BG workshop! your talents are endless!..not only a great writer..but a great (as in original!) photographer. hats off to DA BG! i can’t think of any writers who could sustain a metaphor for as long as you did..and with continuing to perk the readers interest. bravo! why is chocolate reserved for easter!..chocolate all year round!!! as others have noted..a very creative and informative post. you DO spoil us; and we love it!